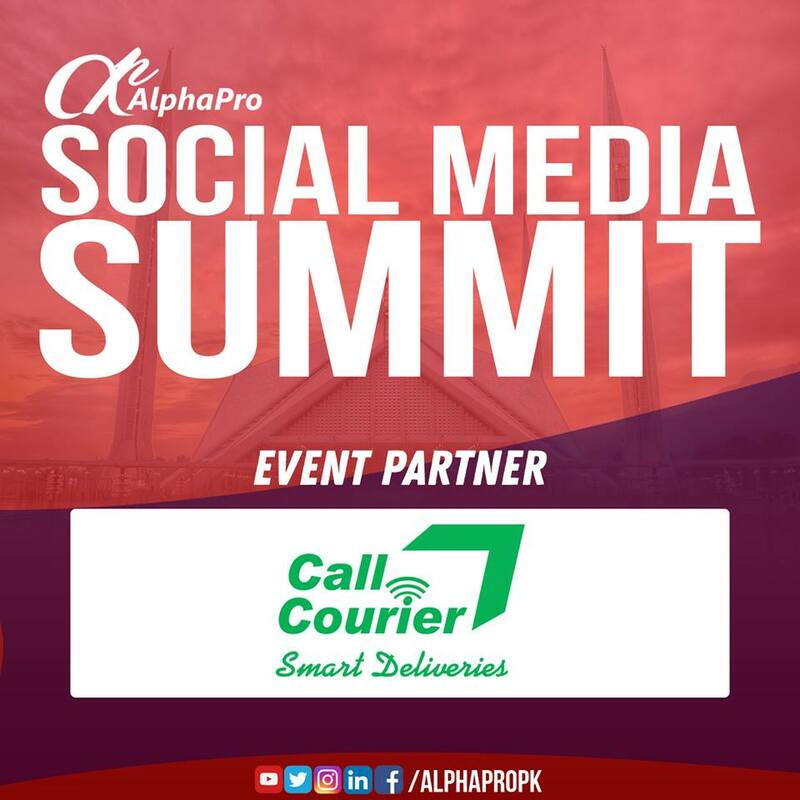 Islamabad 13 March, 2018 – Call Courier has partnered AlphaPro in organizing Social Media Summit 2018. Social Media Summit is going to be held on 17th March, 2018 at PNCA Pakistan. The event has gurus of social media and professionals as speakers who are going to make people aware of the insights of social media and its uses. Call Courier was established in 2003 with an aim to serve the needs of millions of people across the nation, apart from the corporate world. Call Courier has always tried to play its role in the development of Pakistan and the people of Pakistan on any possible platform. Social Media Summit 2018 will provide a great opportunity for individuals to broaden their knowledge on the utilities of social media. The Summit is expected to be one of a kind; it is gaining attention of the locals with huge positive response and appreciation as people are really looking forward to it and are signing for participation.